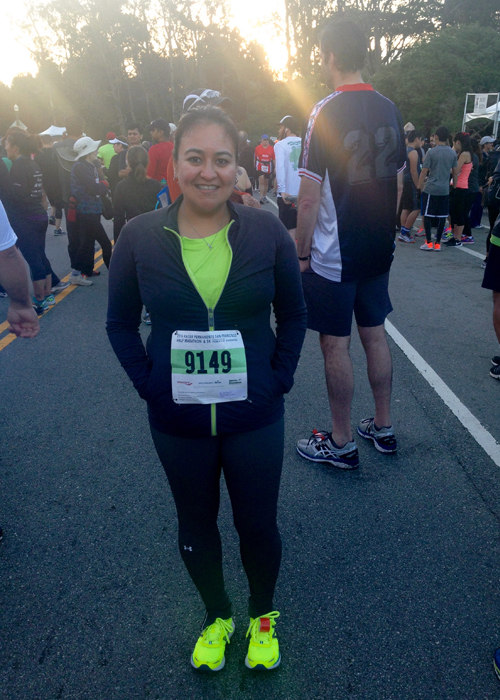 This weekend I am visiting friends in the City of Angels, but last weekend I ran my first 5k ever. A couple of years ago, I did my first ever "Fun Run" with my husband back home in Dallas. Then last year, some friends convinced us to do the Bay to Breakers 12k after we moved to the Bay Area. While we did "train" somewhat, nothing can ever really prepare you for the festival/parade/party that is Bay to Breakers, nor could we even hope to run it as we were in one of the last corrals due to my time. After we moved, we immediately started taking advantage of the amazing weather and the great hiking spots around the Bay. It became a routine for the three of us to go on a 4-6 mile hike each weekend and in order to be able to do that, I would take long walks around town 2-3 times a week. As I grew more comfortable with my wanderings, I started looking for an app that I could track my mileage, follow friends, and post photos and maps of the places we were going. 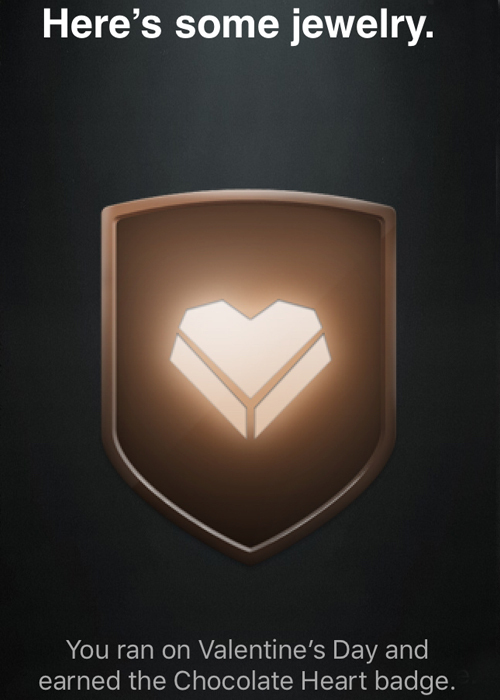 I love the MapMyRun apps (they have so many!) because you can choose whether it was a walk, a hike, or a run, and they sync up with MyFitnessPal, AND Fitbit, which I had for a few months last year. 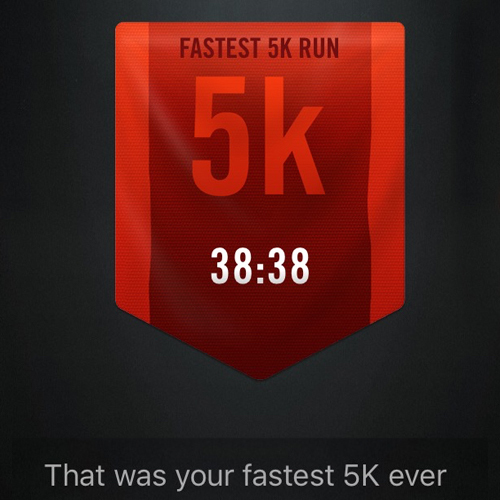 I also tried Strava, and UnderArmour's Record, before I decided to stick to the Nike+Running App. My reason is that it is the only app that works seamlessly with my iPhone and the Apple Watch I got for my birthday in December. All my workouts sync up automatically and I don't have to import or export workouts to other apps or devices. 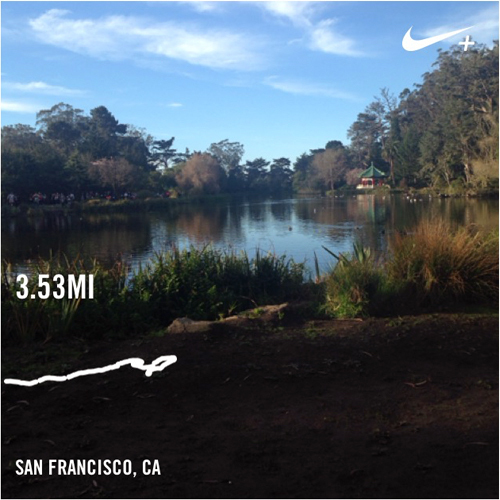 I have to admit that my favorite part is the Instagram community that also uses NikePlus. They are incredibly supportive and it's crazy to get advice or encouragement from people all over the world. Last weekend was the first time that we did a 5K as a family and it was so much fun to both train for it and then actually do it. We all finished, and while I was the slowest of us three, I still posted my fastest 5k time, which made me ridiculously proud even if everyone else ran so much faster than me. 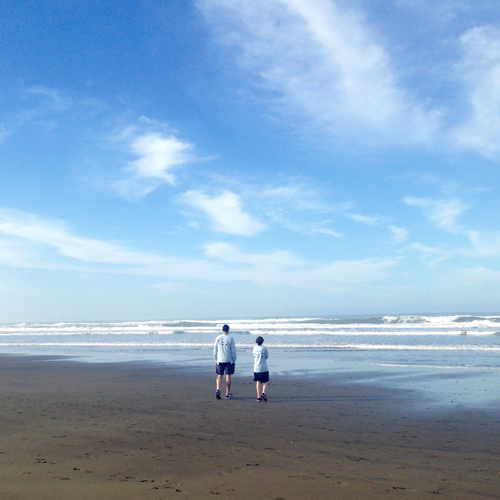 We ended the day on Ocean Beach after we grabbed breakfast and I spent the rest of the day with my favorite guys.